Authoritarian Tea-Publicans want secrecy in government – what are they trying to hide? Lawmakers don’t want you to know where they live. They don’t want you to know where former judges live or their phone numbers. They don’t want you to know who just won the state Lottery. They don’t want you to know the name of the police officer who just shot a citizen. They don’t want you to know what they say in meetings amongst their party colleagues. In fact, they don’t want you to know what any elected officials in Arizona say to each other about the public’s business. When it comes to public records and government transparency, the Legislature this year has been a hotbed of activity. Republican lawmakers have introduced a host of proposals that would increase government secrecy by restricting access to public records and allowing more political discussions to happen behind closed doors. The bills would restrict access to an array of government records, from candidates filing paperwork to property tax records of former judges to the names of state Lottery winners and police who shoot citizens. House Republican leaders set the backdrop for the public records and open meetings debate at the Capitol this year when they voted to change the House rule requiring political party caucus meetings be open to the public. Republican Sen. Sylvia Allen of Snowflake wants to go a step further. Her SB1435 would dramatically scale back the state open meetings law to allow elected officials to meet in secret to propose and debate policies. The measure would only require the public be allowed into meetings if an official action such as a vote was taken. Under the wide-reaching proposal, city councils, school boards, county boards of supervisors and other elected bodies would not have to notify the public of the secret meetings or provide an agenda of what was discussed, since such gatherings technically would not be considered public meetings. Dan Barr, a constitutional attorney with Perkins Coie and the head of the First Amendment Coalition of Arizona, said the bill would “gut the open meetings law” and do just the opposite of leading to better government. David Bodney, a partner at Ballard and Spahr and head of the firm’s media law group, agreed and said Allen’s bill would invite opportunities for “mischief” and “a rigging of the process” by allowing public officials to conduct public business in private. And he said the bill would deprive the public of the right to observe the deliberative process, and the rationale behind lawmakers’ votes. And it’s not just meetings. Lawmakers are proposing to keep secret a long list of public records that they would rather the public not see, including their addresses on campaign finance forms, addresses of former judges, the names of recent state Lottery winners, and the names of police officers who use deadly force against citizens. Barr said it is ironic that some the sponsors of the bills cutting down on transparency in government are also some of the most vocal skeptics of government – lawmakers who have built a reputation on being distrustful of government. “Some people are distrustful of government – except when they’re in government,” he said. Who visits the Arizona governor and his administration will no longer be an open book. Gov. Doug Ducey has done away with maintaining visitor logs, a practice used by the last three governors. While visitors are not required to sign in, the logs offer a trail of lobbyists, government officials and others who spend time at the Governor’s Office. 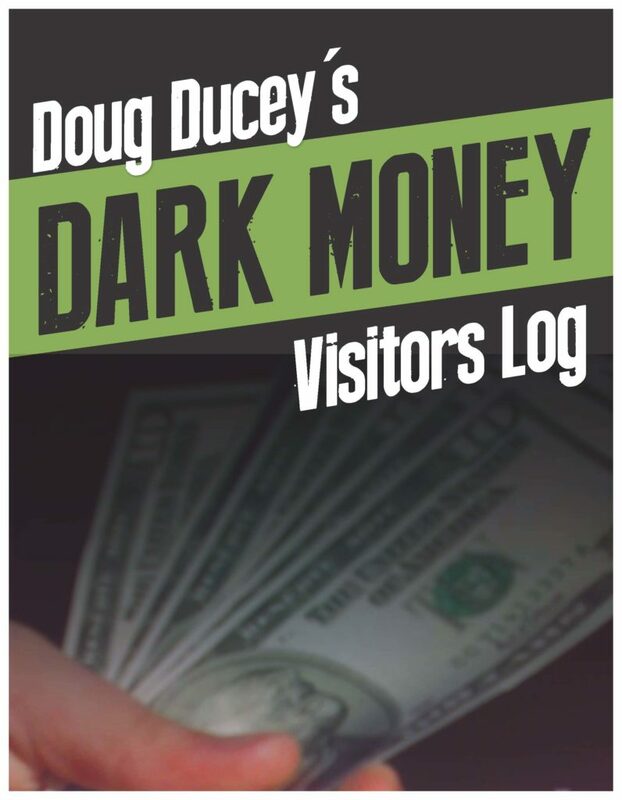 Ducey said the logs don’t give a complete picture anyway because they are voluntary, the Arizona Capitol Times reported. So make signing in mandatory for every visitor, dumbass! Getting rid of the visitor log and not requiring anyone to sign in is the exact opposite of open and transparent government. Barr said the decision is especially questionable considering Ducey received money from anonymous contributors through independent expenditure groups in last year’s election. The issue we’re writing about today is as close to an assault on American freedoms as those individuals our military is asked to seek and eliminate. 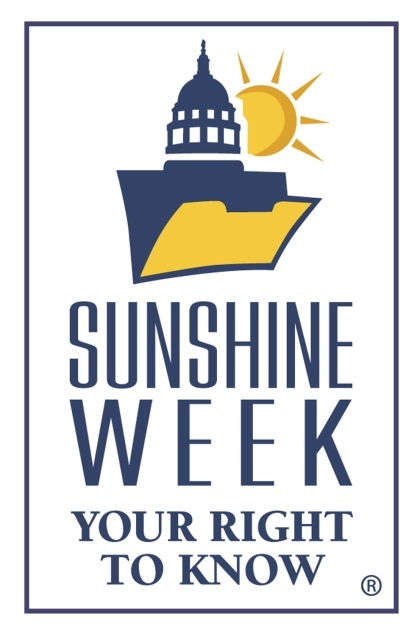 Last week will be remembered as the sounding bell for public freedom of information in Arizona. With the introduction of a bill at the State Capitol by a Republican legislator endorsing the effective elimination of the Open Meetings Law. The law as it was adopted in 1962, intended to provide a balance between our elected representatives and the transparency and public participation in which decisions are made. This new legislation, SB 1435, creates the opportunity for absolute power, allowing the decision making process and the vital discussion leading up to it, shuttered from public view. Arizona bleeds so much Republican red that the party controls the state house like Apple owns the computer market. That kind of authority, with dominating majorities in every committee, office and commission in the state, is a good way to concentrate power. Elections within the party become significantly more important than the populace vote. In the most recent general election, Cochise County held its head high with a 50 percent turnout, while Arizona, as a whole, generated a lousy 40 percent. Though there are differences in ideology, the two-party system has weathered centuries and provided the balance a good democracy requires. Earlier this month, Republicans closed the doors to the party caucus. House Rule 36 gets in the way of “family business,” as Scottsdale Rep. John Allen explained to an angry Phoenix media last month. Now State Sen. Sylvia Allen of Snowflake has introduced legislation, SB 1435, to render the state’s Open Meeting Law useless. The impact of this bill across the state would be chilling. Public discourse on every issue that involves every resident could be decided behind closed doors, with no public notice or input. Soldiers serve in our military to defend our liberties and uphold the fundamental principles of our democracy, which includes an open government that is accountable its citizens. Public meetings without significant advance public notice, opportunity for the public to speak, with complete and accurate reporting, is an invitation to corruption, plain and simple. Without accountability to the public, there is no accountability — a basic hallmark of America. Mark the first days of February, 2015, as the warning bell. We are now watching the Republican Party of Arizona, the dominant majority of our State Capitol, decide whether there is good reason to consider the merits of the legislation offered by Sen. Allen. Now, it’s just a political game in a lion’s den. Silence is the enemy. We share a responsibility to stand up and show we will not stand for closed public meetings. We will not be quiet and lazy, we will write, speak, talk and ring the bells to let people know that we treasure the responsibility of citizenship and having elected officials work for the people not themselves. Keep those meeting doors open and ring those church bells by letting your representatives know ‘The people’s business’ is not to be done behind closed doors and without citizen participation. Next articleCould thorium reactors provide the next generation of nuclear power? Have just discovered your blog and think it is both good and insightful. Can you or anyone else explain to me how it is that we have such an awful legislature? Put another way, what factors would have to change to produce a legislature in the political middle that would put the public interest first?